Between 2013 and 2014, hit-and-run crashes involving fatalities increased 23 percent in the state of Florida. Florida Highway Safety and Motor Vehicles (FHSMV) reported the number of hit and run crashes throughout the state increased seven percent overall between 2013 and 2014. Nearly half of the people killed by hit-and-run drivers were pedestrians, which was 17 percent more than in 2013. In total in 2014, one-fourth of car crashes in the state of Florida were hit-and-runs. Because so many collisions involve the driver illegally leaving the scene, motorists need to be aware of what to do in this situation. Knowing how to handle a hit and run claim can make it easier for you to recover compensation for your losses. Record as many details about the motorist who is departing the crash scene as possible. Note the color, make, and model of the vehicle. If possible, try to get the license plate or to get a partial license plate before the driver has left the collision scene. Contact the police right away. Provide information on the accident, your location, and details about the driver who fled the scene. The police will conduct an investigation to try to find a driver who left the scene. Florida Code Section 316.027 imposes criminal penalties on drivers leaving the scene of the crash. Contact your own insurance company. You may need to try to recover compensation from your own insurer. Let them know right away the accident has happened and the driver has fled the scene. Obtain the contact information of witnesses to the crash. Ask witnesses to write down or to try to remember what they witnessed about the driver who fled the scene. Keep a careful record of time missed from work, medical expenditures incurred, pain experienced, and other losses that happened because of the car crash. In Florida, drivers must buy personal injury protection (PIP) insurance. This means you have minimal coverage for your injuries from your own insurer, regardless of what the other driver does. If you are seriously hurt, the other driver who struck your vehicle is supposed to pay for additional damages, including economic and non-financial losses. 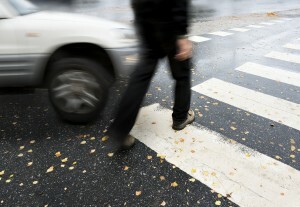 A hit and run makes it more difficult or impossible to make a financial recovery. The other driver may not have any insurance or money, so even if he is found you may not be able to collect. If the driver is never identified, you will need to rely on your personal injury protection (PIP) insurance, optional collision coverage, or uninsured/underinsured motorist coverage provided by your personal insurer.